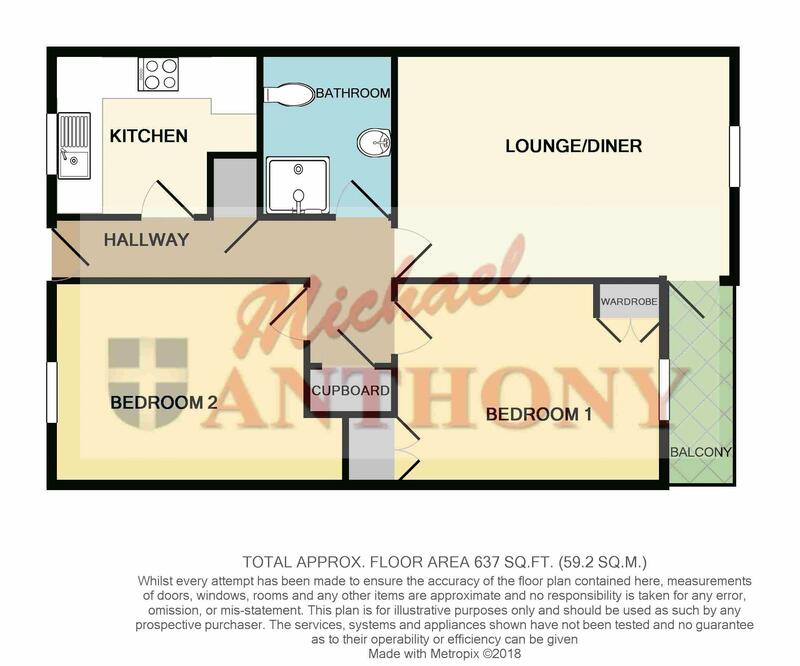 Double glazed window to the front, feature electric heater, television point, UPVC double glazed door to balcony. Double glazed window to the front, range of storage units at base and eye level, rolled edge work surface areas, stainless steel single drainer sink unit with mixer tap, fitted oven and ceramic hob with cooker hood over, fitted dishwasher, plumbing for washing machine, space for fridge/freezer, telephone point, inset ceiling lighting. Double glazed window to the front, range of built in wardrobes. Double glazed window to the front, coving to ceiling, range of built in wardrobes. Shower cubicle with power shower, low level wc, wash hand basin set in vanity unit, range of built in units, inset ceiling lighting, extractor. Private balcony providing seating area.